Each spring, all adults of the species migrate to a single site—the Colorado River Delta in the northernmost part of Mexico's Gulf of California—for what scientists call a "spawning aggregation" that can number into the low millions. During this time, male corvinas emit calls that reverberate through the hulls of fishing boats, and can be heard even above water—drawing in the fishers. 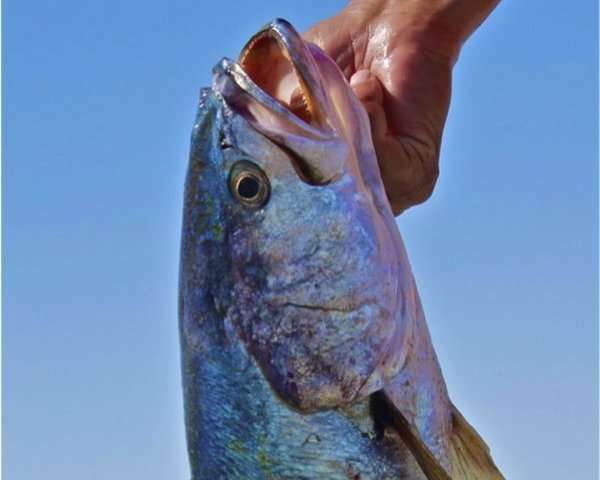 A single boat with one net can harvest two tonnes of corvina—which can grow to about a metre (3.3 feet) in length and weigh as much as 12 kilogrammes (26 pounds)—within minutes, said the study authors. But there is evidence that landed corvinas are getting smaller—a sign of overfishing, which happens when fish of a particular species are caught faster than they can reproduce. Shush, Wanda! You'll wake the neighbours!